County jails hold adults, 18 years of age and older, who have been arrested on suspicion of committing a crime. Bail bonds are used to obtain a release from a county jail prior to a defendant’s initial court hearing. Most people are fairly familiar with bail bonds, although there are still several myths out there still circulating. In fact, one common misunderstanding happens to involve minors, namely, juveniles. Many people want to know if they need to obtain a bail bond to get their child out of juvenile detention. Continue reading to learn the difference between a minor and a juvenile, and what you need to know about juvenile detention and releases. A minor is not necessarily someone who is younger than 18 years of age; a minor is simply someone who is restricted by law from certain things due to their age. For instance, a person who is 20 years old is considered a minor when it comes to alcohol. Likewise, a person who is 17 years old is a minor when it comes to purchasing or consuming tobacco products, voting, and staying out past curfew. In contrast, a juvenile is a child between the ages of 10 and 17 years old, and who has not been emancipated from legal guardians. When a person turns 18, the law deems them a legal adult, however, they can still be a minor, as shown in the example before. Children under 10 years old are not tried in the juvenile court system if they commit a crime. Instead, they are enrolled into a state social services program to be evaluated and rehabilitated by professionals. To get straight to the point, you DO NOT use a bail bond to obtain a release from juvenile detention. The law does not give minors this right. Instead, when it comes to detainment, juvenile detention centers operate on a state-wide model that is both predictable and steadfast. What this means for you as a parent or guardian with a child in juvie is that there are set procedures you can count on for getting them back home. Visit the Indiana Division of Youth Services webpage to learn what you need to know for your county’s rules and procedures. As for adults, call Woods Bail Bonds at 317-876-9600 for prompt and professional Indiana bail bonds, information, and advice you can trust. Owner, James Woods, and his team of licensed and insured bail agents, provide 24 hour bail bonds in over 30 Indiana counties. 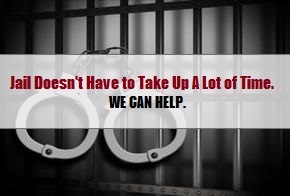 Regardless of time, day, or city, we can get you out of jail fast, and for as low as 8% of your total bond! Request a free estimate, anytime. This entry was posted in Bail Bonds and tagged Indiana bail bonds, Indianapolis bail juveniles, Indianapolis juvenile bail bond, juvenile bail bonds, juveniles rights to bail Indiana, juvie bail bonds Indiana. Bookmark the permalink.